Remember every Walgreens has different prices on some sale items and clearances. ***UPDATE** Reported participating locations are Acme, Albertsons (until end of day April 28th)Bi-Lo, Cub, Hy-Vee, K-Mart, Pathmark, QFC, Rainbow, Shaws Supermarket and Winn-Dixie. Kellogg's Pop Tarts, Cereal Bars, Fruit Flavored Snacks - Keebler Cookies, Crakers and Sunshine Cheez-it Crackers! 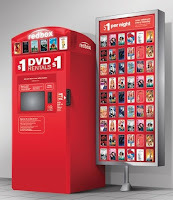 and get two FREE movie tickets (to any movie) All items must be purchased in one shopping order! Click here for Coupons.com and print off your $1/1 coupon off Kelloggs before they hit their print limit. Don't put it off like I did on the Dry Idea Coupon and miss out. Then you're off to the movies with a friend for FREE!!!! Final Cost = FREE + a $10 moneymaker RR! Thanks Nadia! for sharing your find! Earlier I posted HERE about a Walgreens experience I had that turned out fine, but did end up with a phone to Corporate Customer Service and their explaination of what Walgreens honors and adjusts when it comes to coupons. Let me also state upfront that I LOVE WALGREENS!! I think with the Register Rewards they really have great savings!! Having said that.... Afterwards a reader of mine who has had not the best experience with Walgreens was so happy to hear about my conversation this morning with customer relations that she headed to Walgreens with coupons in hand ready to conquer the world of savings and FREEBIES and then..... BAM she gets an unfriendly coupon cashier plus manager and calls Corporate Customer Relations regarding overage and they said we will get back with you (which they will), but did not confirm what the Corporate Customer Service rep had told me earlier with regard to overages. I can understand the frustration because although my transactions have gone through, there has definitely been something in the air. This is the response I left in the comment section, but then I thought I should share it with everyone. "Every cashier/manager at every store is different, some push through, some don't. Although, there is no OFFICIAL policy in writing (trust me we have all tried to get one) they do honor multiple manufacturer coupons and that is when the 800 number comes in handy while at the store and there should be no argument. On the overage and adjusting down is always a sticky one, but I have never had a problem with adjusting down (knock on wood). I have found a store and checkers I like and that are coupon friendly. That is the same situation at all drug/grocery stores. I do LOVE Walgreens, their managers and cashiers (just some more than others)! So I would stick with the ones you like and avoid the ones that tend to be a problem. My friend Beth had an issue with her Walgreens and after a few phone calls and corporate customer service intervention she has not had a problem since. Sorry for any problems you all have experienced, but don't let it be discouraging. Trust me patience pays off in BIG SAVINGS!!!!" 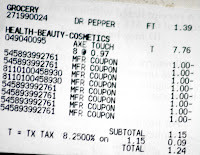 "If you are a beginning couponer do NOT expect a shopping trip like this. Expect to get a grumpy cashier. Expect to have half the hot items on your list out of stock. Expect a few coupons to beep every time, requiring an override, tying up the line and making your embarrassment grow. Expect to be harassed, overcharged, glared at. It happens, and probably will continue to happen, all the time. So celebrate an amazing shopping trip like this, but expect a few that will make you want to rip your hair out. I, for one, will not judge you if I see you in a crumpled heap in the back of the store, frazzled, frustrated, and crying alongside your wailing children. I've been there too. And I promise you this, although I have no cure for screaming children (FYI-I hear candy always helps), it does get easier." Could have not blogged it better myself. Had to take my son to the dentist for a filling (Yuk!) and they told me to just run an errand because it would take about 30 minutes. There was a Walgreens around the corner and I needed to buy some pencils & markers for school for him. Low and behold, look what I found in the clearance section. Now remember - every Walgreens clearance section varies - usually the clearance is up to 75% off and so at one store it may be marked down 25% another 75%. It may not be clearanced at all. It is definitely a hit or miss. Evercare Lint Rollers (trial size)- .97! 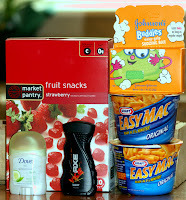 CVS Easy FREEBIE, No Clipping Necessary! Just a reminder when you are at CVS to scan your CVS card at the price scanner usually located by the center aisle. It will print out valuable coupons and usually prints out the Save $2 on any 2 Gold Emblem nut items (which are located by the cash register or nut section). These were located right when I walked in, in a huge round container front and center. 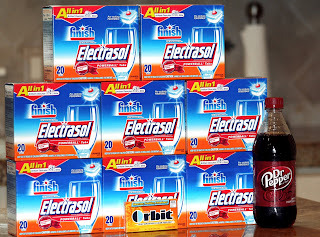 When you're getting all your other ECB items, don't forget to pick up these easy FREE snacks. They print out once daily! It's an easy no nuttin brainer! 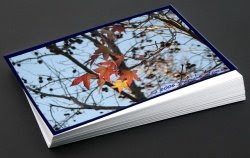 Hurry hip2save posted a FREE print paper site for the first 1,000 to snag 50 sheets of Glossy 4" x 6" Photo Paper for ONLY .50, with FREE shipping too! Click here, add the paper for $2.50 to your cart and use this code: MLC1750892 snag it for .50 TOTAL. By doing so, as usual you agree to their promotion emails, etc, etc, but use a second email address and no worries. 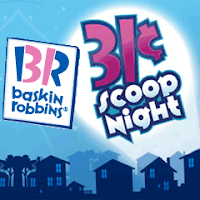 Tonight (April 28th) from 5-10pm, Baskin Robbins is honoring America’s firefighters with a $100,000 donation to the National Volunteer Fire Council (NVFC)National Junior Firefighter Program. 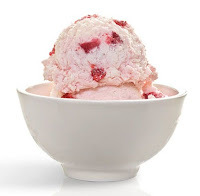 Participating stores will reduce prices of small ice cream scoops to 31 cents. So come out and pick your favorite flavor for FREE! At some locations, you may also have an opportunity to make a donation to local fire charities. To find one near you click HERE! 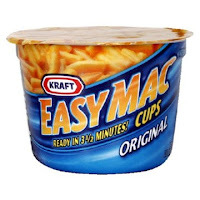 Kraft Easy Mac Cups is FREE this week at Target by stacking these two coupons: the printable B1G1 FREE HERE and the Target $1/2 Q HERE. 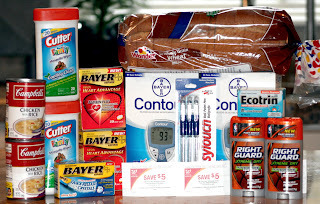 Target coupons and manufacturer's coupons can be "stacked" or used together for the same item. These new offers are available with printable coupons, recipes and more!!! Speed Stick and Lady Speed Stick Clearanced at Walgreens! Okay, so no Register Rewards just a bunch of FREEBIES using 1 $5 Register Reward. These were originally $3.59 on clearance for 2/$2. Now really a bunch of them were on clearance for .64/each, especially the lady speed stick, but they were ringing up $1.29 or 2/$2. The cashier had a problem with multiple coupons and the manager said well they don't ring up .64 and I don't know why they're marked this way and so on and so on. No sweat. I said okay let's just say 2/$2 and call it a day. Spent $.54 and Earned $12 in Catalinas!! Final Cost = $11.46 PROFIT! Walgreens + Axe = FREE MOVIE TICKETS!!! There is a huge display in front of Axe products promoting once again their promo: buy 3 axe products, get one movie ticket FREE (up to $12) or buy 5 axe products, get 2 movie tickets for FREE (up to $24) (trial sizes not included) Well, it poured down rain last night in Houston and there are lots of areas that are flooded so school was cancelled and we are off to the movies! Axe 4 pk bullet items have been on sale in the clearance section for awhile now. Final Cost = $12.35 plus earn 2 free movie tickets!! P.S. 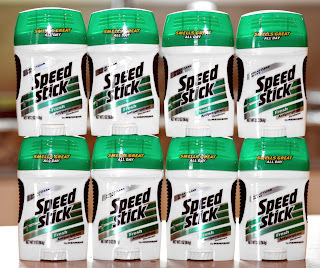 Speed Stick is on clearance for .64!!! Final Cost = FREE! plus $5 ECB!!!! Sweet FREE Deal For Mom on Mother's Day at TCBY! Get your FREE Cup or Cone for Mom on Mother's Day, May 10th at participating TCBYs! Now that's treating Mom to a SWEET FREE Deal!! Thanks for the heads up Catherine!!! Okay, to begin once again the savings can be decieving. $160 of the savings are from the glucose monitors, but those monitors also earned me $10 in Register Rewards and will be donated this week to a diabetic clinic here in Houston. Big THANKS goes out to Lanette for letting me have her Bayer coupons!! Final cost = FREE + a $5 profit! Final cost after Q = FREE + a $5 profit! Final cost = FREE + .42 overage! P.s. there is a $1 off inside of box! 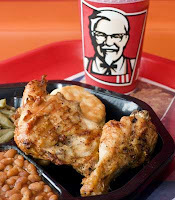 Not only can you go in to KFC today and get your FREE piece of KFC grilled chicken, but if you look in Sunday's paper, Parade magazine has a coupon for ONE FREE PIECE Kentucky Grilled Chicken that does not expire until 5/17/09. The code is valid from today until 12 midnight Central Standard Time. This code can be used once per debit or credit card. So multiple rental can be free if you use a different form of payment. Make sure to return by tomorrow to avoid being charged. Click HERE to find one near you. Here are some reported Freebies and Clearance items currently at Walgreens! Prices and products can vary from store to store. This does not guarantee that you will find the same prices at your store. Just some of the deals others have found at there local store. Inside package you'll find an additional $5 off 2 coupon! Final cost = FREE + profit! Final cost as low as .29! Final cost -.19 - $1.19! With Mother's Day just 2 weeks away, are you on the ball and got your mom the perfect gift? If not, check out these offers especially geared toward Moms. Use (2) $1/1 printable or $2 off coupon? Print Limit Reached!! Hope you were one of the lucky ones who snagged one or TWO! Hurry to snag your FREE Right Guard coupon!!! 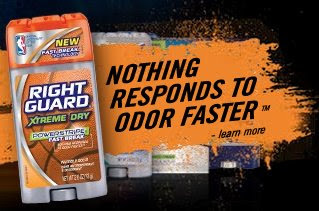 The first 10,000 people will receive a free coupon for Right Guard deodorant, thanks to NBC's Celebrity Apprentice! Don't forget to hit your back button to print 2 coupons! I snagged mine. Let me know if you got yours!!!! If you think KFC is all about fried chicken, think again. 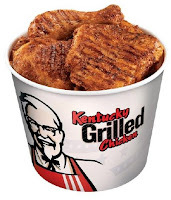 Kentucky Fried Chicken has declared Monday, April 27, 2009 as "UnFry Day" and is offering customers a FREE piece of their new marinated Kentucky Grilled Chicken. No coupon or purchase necessary, just drop in. Now that's a winner winner chicken dinner! Click HERE to find one near you! So unfortunately, EasySaver Rebates end this month. It will be interesting to see what perk Walgreens replaces it with . Final cost = FREE after RR! Final cost = .50 each! Final cost = $1.50 each! Final cost = FREE plus $1 overage after RR! Final cost after Q and RR = FREE + a $5 profit! Michael's 15% off ENTIRE PURCHASE including SALES ITEMS! Sunday only, April 26th, 4pm-8 pm only Michaels has Spring Madness!!! Bring/Print THIS COUPON HERE to receive 15% off your entire purchase INCLUDING sales items. Check it out!! Coupons.com has $5 off Taco Bell family dinner coupons! You will need to plug in one of these zip codes for it work (97206, 97211, and 68105). Hurry and print yours now before it hits it print limit like the Purex B1G1 did last week and Dry Idea did this week! 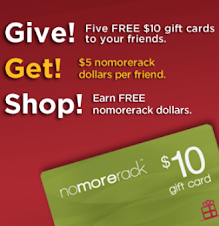 Get $10 off of a $10 or more purchase at JC PENNEY with this online code MOMSGR8. Last time I snagged a really cute shirt for my daughter HERE. Shipping starts at $4.50 if you choose in-store pick up or up to $6.00 for home delivery. Let me know what you find! This Sunday is National Pretzel Day, so be sure to visit Pretzel Time or Pretzelmaker to get a FREE Original Soft Pretzel. Store participation and times vary by location. Click HERE to find the closest store to you. 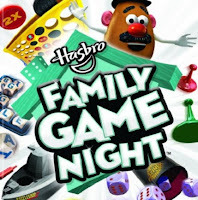 Hasbro Family Game Night Savings Center High Dollar Coupons Available! Looking for some fun games to play on Friday night with the family? Then check out Coupons.com here for the great $5 off coupons they have from the Hasbro Family Game Night Savings Center! These are High Dollar coupons so print yours off today before they hit their print limit! Look who is heading back to Toys R Us this weekend. If you missed him last time don't miss him again!! Thomas the Train will be visiting Toys R Us and you won’t want to miss out on the fun! 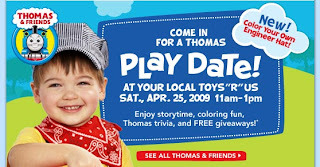 Toys R Us Stores across the country are having a Thomas the Train Event on 4/25 from 11am to 1pm. Story time, coloring fun, Thomas trivia, and a FREE giveaway. Your child will also be able to color their own engineer hat. Choo Choo!! Future is Bright with FREEBIES! Is your future so bright with FREEBIES, you gotta wear Shades? Well, beginning May 5, 2009 at any participating Charlotte Russe store, bring the June 2009 cover of Seventeen magazine or a printout of the Seventeen.com homepage to receive a free pair of sunglasses ($6 value) (NOT THE SUNGLASSES PICTURED ABOVE)! Giveaway ends June 8, 2009 while supplies last and one per person (10,000 to be given away). Click here for a store near you. Old Navy Weekly 30% off Coupon Still Up For Grabs!!! I don't know if you were one of the lucky ones last night to snag one of the $50 off $100 coupons or the $75 off $100 coupons! They are all gone now, but even if you missed out on those you can still snag you a 30% off right now at OldNavyWeekly.com. As of right now they have 16,000 coupons left if you comb your hair like Kelley (the blonde mannequin wearing the woman's crochet racer back tank). Good luck!! and I'll give everyone a heads up next week on the HIGH dollar coupon hunting reload. 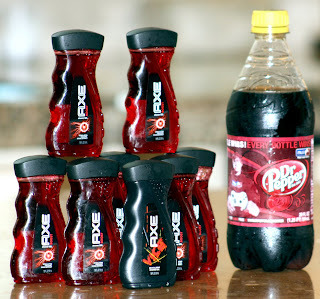 Got 8 Axe shower gels for FREE!!! Okay, I have alot of comments about confusion on overage, money makers, etc..... So after I dropped the kids off at school this morning, I headed over to Target to make a purchase to try and help explain a little better. Some cashiers will not do overage on the coupon and will just need to adjust the price of the coupon down to the product cost to make that item FREE. If they say they can't do that then they do not know their coupon policy and ask for a supervisor. Did you clip the Holiday Ham or Turkey rebate form from your April 5 paper? Right now, with all the deals going on, Bertolli HERE at Randall's; last week's Dove, Degree and Sunsilk at Walgreens HERE, HERE and HERE and at Dove at Target HERE, Suave deals HERE & HERE at Kroger/Target and Axe currently HERE at Target this week. You should have a least $40 worth or product to qualify for the FREE ham or turkey. Let me know if you didn't get the insert that weekend and need the rebate form. I have 7 extra to send to the first 7 readers to leave a comment and their mailing info. You can just leave initials if you need with mailing address. I recieved a comment about a problem with Target and them accepting MQ coupons so since I had not done a Target run this week, I thought I would give myself about 5 minutes to get in and out and see what I came out with from just the FREE deals I posted HERE. Here is what I figured out and got. On a quick note: my cashier was extremely polite and helpful, had no problems with coupons and even said, "I wish I could get that deal" so I handed him my business card from HERE! Thank you to all the polite and COUPON FRIENDLY cashiers!!! You make shopping much easier, QUICKER and cost efficient! 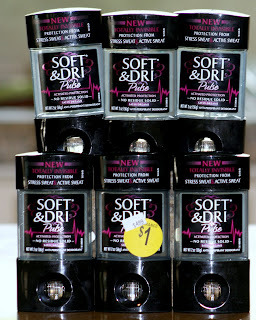 The Dry Idea is still on sale for $2 and with $2 coupon from HERE it would be FREE. Unfortunately, I have already printed off my limit of 2. Unfortunately there was another $1 Target coupon and I can't remember if it was for the Johnson Buddy soap or dove, but I think JBS because i think the dove had a limit on the size. My friend Anne just sent me this email showing off her beautiful daffodils that you got at Randall's for $2.99/bunch. Now who doesn't love fresh cut flowers in the home! Beautiful! 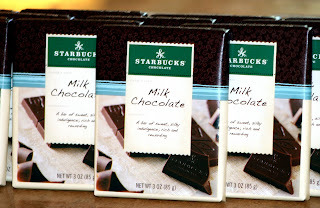 Starbucks Milk Chocolate FREE at CVS! SWEET DEAL!! Okay, so why is a $3 chocolate bar on sale for .75? Well, the milk chocolate is about to expire soon. So my plan is to freeze them! What a great crumbled up topping to go with my FREE cashews from HERE crumbled up on top of a Big Bowl of Blue Bell Ice Cream!! These are not marked on sale and are not located near the chocolate section. They are in their own area where all the "Designer Chocolates" are on an endcap. The Dark Chocolate were still regular priced. SO make sure you check at the price scanner machine to see if they have been reduced at your CVS before you head to the cashier. The milk chocolates were the only ones on sale here in Houston. If you do not have more than 1 coupon to get the deal the machine will beep because the coupon is more than the product sale. The cashier will adjust the coupon to the amount of product price sold. How NUTTY is this? 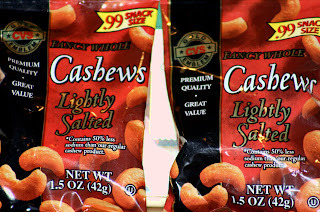 FREE Cashews at CVS!! 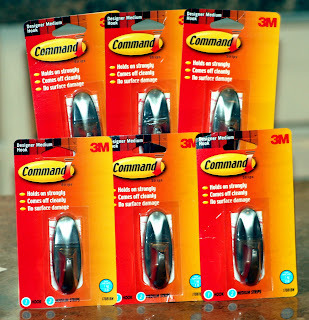 Free Gold Emblem Nuts at CVS! ****UPDATE***** I did have a filler item for the .02 overage. 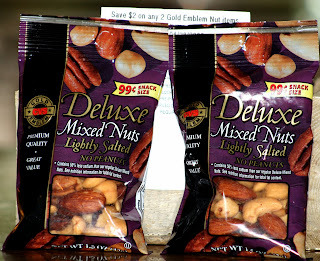 You can get these nuts at CVS for FREE. Scan your CVS card when you walk in at the price checker and it will spit out a coupon for $2 off any Gold Emblem Nuts. These were located next to the register and with the coupon they are FREE. I bought a coke to pick up the extra 2 cents. Love Cashews especially when they are FREE. I forgot my FREE Go Green Walgreens bag so after I picked the kids up from school I decided to pick up a few more items with the 15% off deal. Final Cost = $ 8.18, but earn $10 back on ESR #6 plus $1 when you add to GC. Earned $6 in Extra Care Bucks!! Final Cost after ECB = FREE plus .72 Profit! Okay, I know this is not an off the chart big savings, but look at it this way, last week I would have spent $5.28 on 1 deodorant and not earned any ECBs. Also, had I not forgotten my $10 ECB from yesterday then I it would have been a freebie run with some more goodies. Food for thought. Final Cost = $4.50, but earned $6 ECBs! 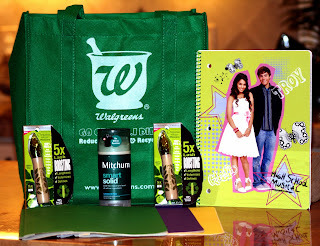 Earth Day is the Color Green when it Comes to MONEY MAKERS at Walgreens! Spent .93, but Earned a $3 Register Reward! Okay, so you do not have any register rewards or coupons from inserts! Well, here is a good start and you don't need any of those. I posted HERE today about Walgreens celebrating Earth Day with 15% (employee discount available on most products). 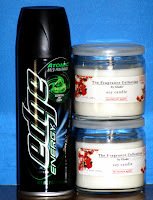 I also posted about the $4 coupon for Glade Soy Candles HERE. Final Cost = FREE plus $1.88 money maker! Final Cost = .93 plus $3 Register Reward so $2.07 Money Maker!! Let me know what deals you found!!! Smells Like Something FREE is in the Air!!! Does is Smell like FREE is in the Air? Well, it is if you CLICK HERE and print out the $4 coupon for the Fragrance Collection by Glade and then head over to Walgreens you can snag you one for FREE. Fragrance Collection Candles - $5.79/each (BUY 2) and get a FREE $5 Target gift card! When you print, make sure to hit the back button twice after you print the first one to be able to print two coupons per computer. Earth Day Discounts and Freebies at Walgreens TODAY!!!! One of my readers sent me this great information regarding Walgreens celebrating Earth Day and giving 15% off eligible store items and 20% off Walgreens and W brand products!!! Also, present this coupon and receive a free reusable shopping bag with purchase!!! Limit 1 while supplies last and coupon must be presented to the cashier at the photo or beauty counter before you check out. Some restrictions apply. Thanks for the heads up Nuesta Family!!! NEW Coupons Loaded On CELLFIRE!!! I posted HERE last night about Cellfire.com. Well, today they updated their coupons and they can be loaded directly to your Kroger or Randall's card TODAY!! These coupons must be loaded on to your card by 5/4/09 and will expire on 5/18/09. You can get them HERE or click on the ad located on my right sidebar or on my link located under Loadable Coupons to your Loyalty card. Make sure you buy the correct quantity or product for the coupon to apply. These coupons can only be used once per card and do not double. Click Below for TODAY'S BEST DEAL in Your Area! 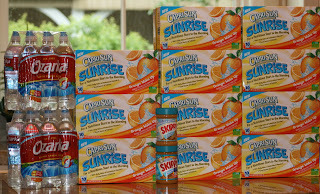 Click HERE to see the complete break down of how I got $230 worth of groceries for ONLY $65!! A friend of mine and I were talking about how much money we spend on groceries and that it never seems like we get after 2 days we once again need to go to the store. I was a VERY implulsive grocery buyer and just picked whatever, whenever and never thought about the cost or looking for sales. I am embarrassed to admit how much I spent each month on groceries alone. Well that has all changed. My friend told me about her sister-in-law who cuts coupons and really saves alot of money. I thought I'll try it and we'll see. Cutting coupons seems like a lot of work and I just don't know. Well this blog started for me to just keep track of how much I have saved over the year and if my coupon adventure paid off or if it was too much of a hassle for little return. As a result I don't know if I will ever pay full price for groceries or other things again. It does not take much time and the savings are enormous. I originally sent emails to friends showing savings and telling them where to find deals. I now use this blog as my way to help others cut costs and get what they need and want for less or even $$$$ FREE $$$$! Coupon Lingo & Money Saving terms. BLINKIE- A machine that spits out coupons. B1G1F, B2G1F-"Buy one get one Free", "Buy two get one Free"
TEAR PAD- A pad of refund forms or coupons hanging on a shelf at the store. Peelies-sticker like coupons found on products.